Philippe de Dreuzy is President & CEO of MSH INTERNATIONAL overseeing the operations for the Americas. MSH is a world leader in the design and management of international healthcare insurance solutions for expatriates. Before MSH, Philippe spent some twenty years in the United States. His last assignment was with Marsh McLennan Agency as Vice President, managing international benefits plans as well as Property & Casualty programs. 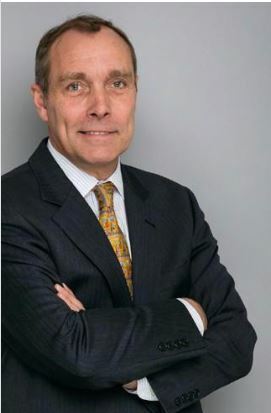 Prior to Marsh, Philippe was part of the M&A team at British Telecom and was responsible for the pursuit of business investments through acquisitions in Latin America. Among other achievements, he had the opportunity to manage an $800 million dollar transaction in Brazil with a multi-disciplinary team of experts in telecommunications. Before moving to the United States, Philippe worked in Spain where he was managing the Sales & Marketing department for CSK Software, a company focused in the design of financial trading tools for the financial market. Since his arrival in Calgary in 2014, Philippe has launched several major projects to help MSH INTERNATIONAL delivers a better service to our clients, with more flexibility and transparency. He has been instrumental in the launch of Aviator, a unique dashboard tool providing on-line analytics and predictive reporting. Beside his position at MSH INTERNATIONAL, Philippe is a member of the CCE (Conseiller du Commerce Extérieur) network, a Trade Advisor group appointed by the French Foreign Ministry. He holds an MBA from Georgetown University, Washington DC in International Business and Strategic Planning. He is fluent in English, French, Spanish and Brazilian Portuguese and a dual French/U.S. citizen.